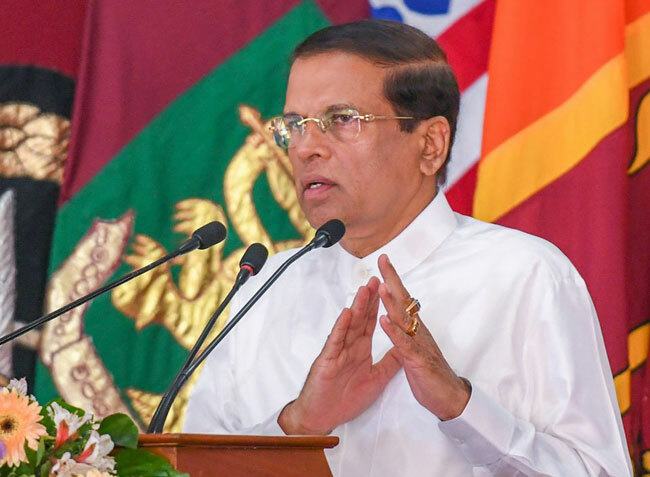 President Maithripala Sirisena says that the people who are engaged in strike actions should think about the rights of the innocent public of the country in a similar manner as they think about their privileges, with a sense of humanity. He made these remarks participating in a ceremony held at the Viharamahadevi Park in Colombo, today (09), adding that it is not the government that is suffering from strikes but the innocent people of the country. The Sri Lanka Ayurvedic Drugs Corporation and the Sri Lanka Army jointly organized a programme to distribute 100,000 herbal plants and this event commenced under the patronage of the President at the Viharamahadevi Park in Colombo, today. This programme has been named as ‘Punarudaya Dina 60 Meheyuma’ and it is expected to plant 100,000 plants at the premises of the Army Camp under this programme. This new project commenced as a one of the steps towards the sustainable development.